When Jancis Robinson declared earlier this year that the 2008 Old Vines Tantalus Riesling was the best white wine in Canada, hundreds of wine geeks including ‘yours truly’ called them in Kelowna, BC that same morning to plead and grovel for some. It wasn’t easy, but I did manage to get a whole 6 bottles. I haven’t been able to bring myself to open any yet, but when I was at their beautiful winery picking up my case, I did score a couple of bottles of this Riesling Lab as well as some of the 2010 Riesling. Seeing as it’s 18c outside and summer is trying its darnedest to shine forth, it’s time to break open a bottle of this cousin of Canada’s best. Why wait? Forty cases produced and available only at the doors of the state-of-the-art LEED winery itself, this wild fermented, estate grown and produced wine screams “Okanagan” beauty and tastes even better. Clear and bright, pale lemon drop with the lightest legs noted. The nose is clean and developing with medium plus intense aromas of stone fruit, especially ripe Anjou pear and white nectarine with a whiff of petrol. On the palate, it’s medium sweet (RS 26g/l) but with mouth filling super juicy, racy acidity. Absolutely love this nectar. The body is satisfyingly medium and the medium plus flavour profile is bursting forth with green grapes, Asian pear, fuzzy peach, nectarine and ripe apricots – a veritable treasure trove of Okanagan produce. Complemented by the same touch of petrol that’s on the nose, there’s also some clear honey. The finish is medium plus. 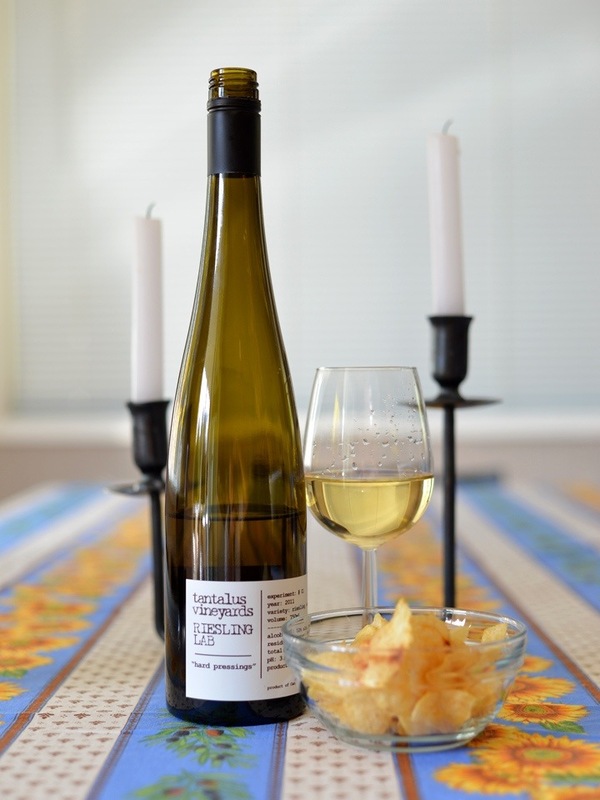 Tasting note: July 2015 – The second bottle got lost in the cellar and although this is a ‘drink now’ wine, I ended up opening this bottle 2 years late. Oops. The good news is that it still tasted delicious with the same aromas including the light TDN/petrol and the flavours showed the same medium body and medium sweet profile with lots of Okanagan stone fruit – nectarine and peach with honeysuckle. A WSET Very Good wine – it has lovely composition, complexity and balance with the acidity and fruit. There’s no reason to wait though; drink now. We paired it with Italian Gorgonzola and sea salted kettle chips. This entry was posted in BC, OTHER, Riesling, WHITE. Bookmark the permalink.